Metta VR developes a platform for consumer 360 video content. Webvideoblog met the founders in San Francisco. They are young and they are enthusiastic, Ceci (24), Jacob (22) and Guillaume (25) are a 3-person-team – thats all. They are bringing Virtual Reality platform METTA VR in April that should compete with existing companies like Littlstar and Vrideo – trying to be „the Youtube of VR“. + VIDEO. Today I understood what lean media innovations can mean. Ceci is designer, Jacob the business and Guillaume the tech guy. They are working at Matter accelerator in San Francisco and showed up a really impressing product they built in the last months. A platform for mostly consumer 360-Video-Content. The USP of the startup is not just to copy a Youtube-like interface to VR. They think they can engage users with a map of the world as interface. 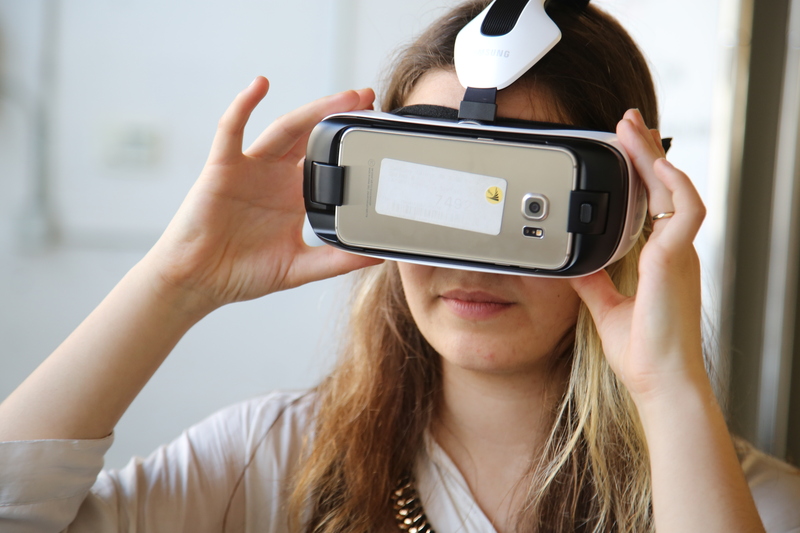 Users want to discover the world in Virtual Reality, Ceci Mourkogiannis said knowing this from their research. And Metta VR should be understood as Social Media. 360 filmmakers are engaged when having a place to show their content and discuss things regarding 360-Video – this is what Ceci and Jacob think makes publishers choose their platform. Cooperations with camera producers should help in addition. Find a short video with Ceci Mourkogiannis and Jacob Trefethen with Metta VR at the office space of Media Innovation Accelerator Matter in San Francisco. That´s an interesting platform for sharing 360 content. Thanks for that!